Make your online courses stand out from the crowd. Pack them so full of useful and relevant information that attendees cannot wait to learn what you have to offer next. When you follow these guidelines, you can create online courses that rock – online training courses that are effective in conveying information and retaining the focus of attendees so they keep coming back for more. Attendees learn at different rates. When some attendees get a concept, they are ready to move on to learning the next. When the rest of the attendees (or worse, one attendee) just doesn’t get it, then you have to harp on the concept while the rest of the class is bored out of their minds. You can resolve this issue by creating self-paced online courses. This allows each attendee to learn at their own pace, spending more time on concepts they don’t understand and working through the concepts they get so they can move on to the next. Even after learning the concepts that an online training course offers, attendees have to be able to apply the concepts. Offer hands-on and interactive activities that help employees put their knowledge into application. Have attendees complete exercises or work projects that they submit to the trainer or training company for review and feedback. This helps attendees receive affirmation that they have grasped the concept of the course, or gives them the opportunity to correct their errors. Attendees of online training can also benefit from the knowledge of their fellow attendees. Even in learn-at-your-pace courses, you can use a social learning aspect to help different attendees connect and interact with each other. Use an online forum as part of your learning management system (LMS), build a Facebook group or use a platform where attendees can post and respond to questions and comments from other attendees. 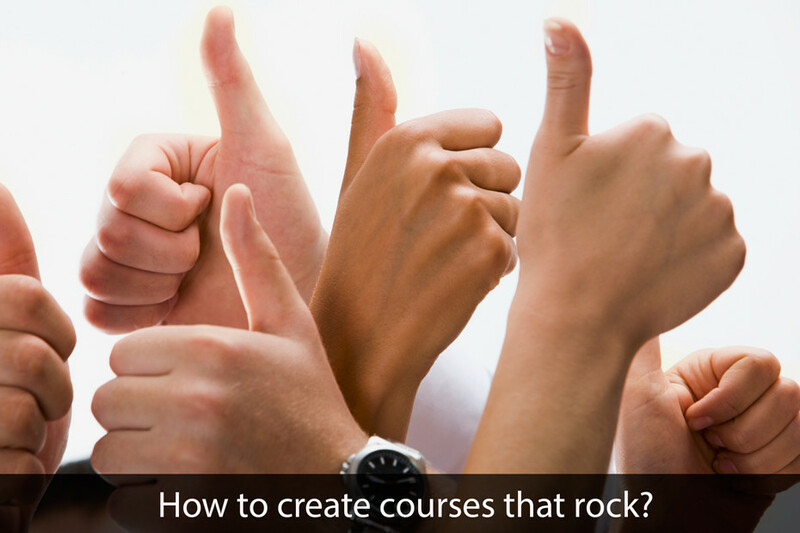 Content used to create online courses is not a one-size-fits-all situation. Avoid gathering content from all over the Internet and throwing it up on your LMS to roll out the course. Take time to customize and personalize the course content to fit the needs of the attendees and to put your own spin on the information. Look for a learning management system which will give you this flexibility to customize/change your content on the fly. Remember, content that is relevant to attendees tends to help them learn better than content that they can find somewhere else. Online training courses can be dime a dozen. You want your training courses to stand apart from the crowd and to be effective in transmitting the information to attendees. It’s up to you to infuse the characteristics and traits into your online courses that make the information resonate with attendees.